The mystery of the Black Dahlia murder continues to captivate the imagination of Hollywood more than 70 years after the notorious crime. 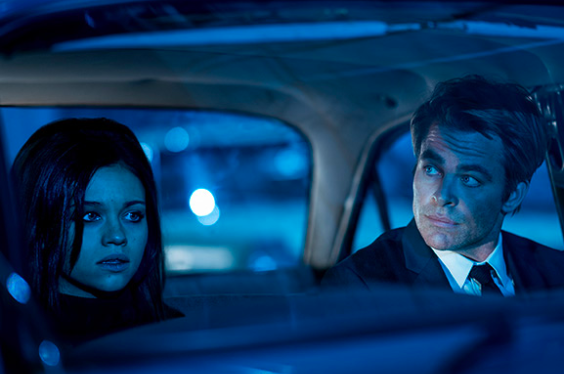 I Am the Night is a limited series event, in which Wonder Woman director, Patty Jenkins, and Chris Pine give a new take on the Dahlia lore. I Am the Night tells the gripping story of Fauna Hodel, a teenage girl who is given away at birth, and grows up outside of Reno, Nevada. Fauna lives more-or-less comfortably with the mysteries of her origin, until one day she makes a discovery that leads her to question everything. As Fauna begins to investigate the secrets of her past, she meets a ruined reporter, haunted by the case that undid him. Together they follow a sinister trail that swirls ever closer to an infamous Los Angeles gynecologist, Dr. George Hodel, a man involved in some of Hollywood’s darkest debauchery, and possibly, its most infamous unsolved crime. I Am the Night premieres Monday, January 28, at 9 p.m. (ET/PT).